The Sony Ericsson Xperia™ PLAY is the first PlayStation™ Certified Android™ smartphone. It's built on the gaming expertise of Sony Computer Entertainment, gives you incredible graphics, great sound and real game controller, and lets you immerse yourself in the games you want. The Xperia PLAY is powered by Android (Gingerbread), the fastest Android version to date. The 4.0-inch screen not only is amazing for game playing, but also suitable for movie playback. 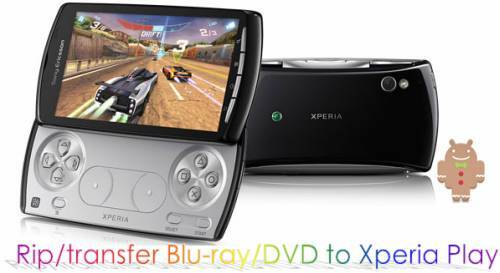 In this article here, you will find the available method to rip and transfer Blu-ray/DVD to Xperia PLAY for entertainment. Once run the program, click the “BD/DVD Disc icon” to load your Blu-ray or DVD movie from BD/DVD drive. The main title is checked by default once you loaded the source BD/DVD movie, if you wanna rip other contents to your Xperia PLAY for watching, you can tick off a certain title at will. In the meantime, you can click the dropdown menu after “Subtitles” and “Audio” respectively to select wanted audio track and subs track to be preserved in the output file. Sony Ericsson features the same screen resolution with Motorola Droid X - 480 x 854, so Motorola Droid X preset is recommended as the best format for your PlayStation™ Certified Android™ smartphone Xperia PLAY. Also Xperia comes with MP4/H.263/H.264/WMV player, so we can expect a perfect playback quality via using Droid X H.264 (*.mp4) format. 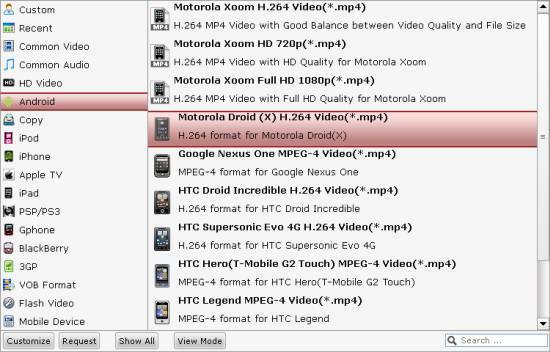 Click the pull down menu of “Format” to choose “Motorola Droid (X) H.264 Video (*.mp4)” as target format for Xperia PLAY. 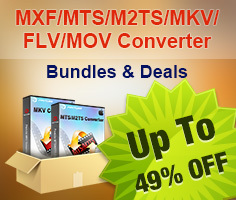 Click the big button “Convert” to start ripping Blu-ray/DVD to Xperia PLAY video. Pavtube Blu-ray to Xperia PLAY Converter supports CUDA acceleration, so if you have a CUDA enabled NVIDIA graphics card, the h.264 encoding process will be much faster than you expected. By default, the software turns CUDA on when an NVIDIA CUDA ready graphics card is installed. When the conversion is done, you can simply click “Open” button to get the final output files for Xperia PLAY with ease. Have fun.